Located on the southern end of Jacksonville bordered by St. Johns County and the St. Johns River, the suburban neighborhood of Mandarin is a wonderful place with much to offer homeowners. Characterized by its beautiful oak trees hanging over the roads, wonderful access to shopping and schools, Mandarin has little to offer everyone. The Mandarin community got its name from the large mandarin orange groves that historically dotted the area. Gone now are those large groves but what remains is a special history that differentiates itself in Jacksonville. Mandarin was the home to Harriet Beecher Stowe, author of Uncle Tom’s Cabin, where she started one of the city’s oldest churches. Mandarin is a suburban neighborhood with a mix of differing home styles. From large plantation-like historic buildings to suburban communities of tract homes, the area has a lot of options to offer at all price levels. Each area of Mandarin is located close to shopping, schools, and parks. The area is known for being a family first community with a strong presence of children in the area. The Mandarin school district is a big draw for homebuyers with the schools regularly obtaining A ratings. 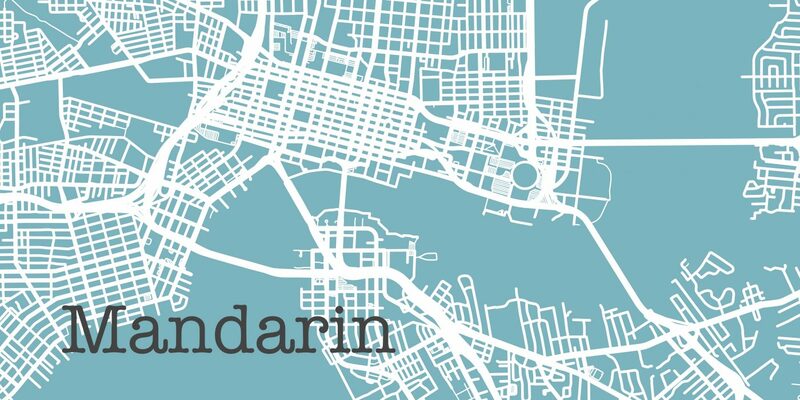 Come and explore all that Mandarin has to offer!